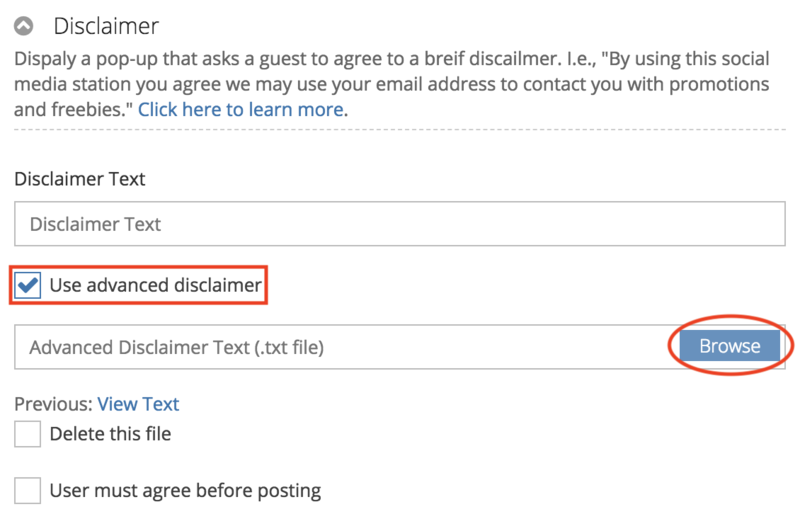 Learn how to setup a basic and advance disclaimers before sharing. 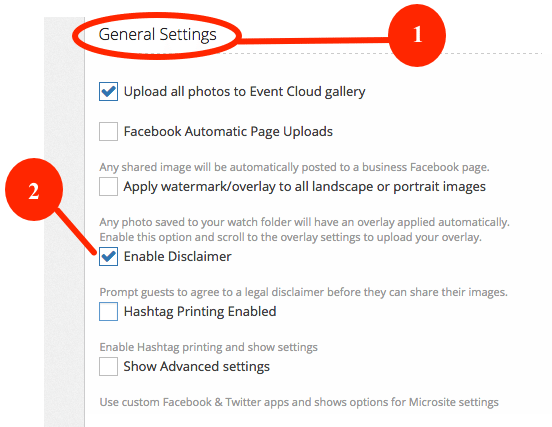 Scroll down to the General Settings section of your event. Enter your desired disclaimer text in the highlighted section above. Select User Must Agree Before Posting if you want to restrict attendees from sharing without agreeing to your disclaimer. If the basic disclaimer 500 character limit is too restrictive for your taste, than we also have an advance disclaimer option. Click the checkbox that says Use Advanced Disclaimer like in the photo above and you will be given the ability to upload a custom .txt file. Press the highlighted Browse button to upload your custom .txt file to the disclaimer settings.